In Togo, West Africa, traditional explanations for illness and healing are often very different from those offered by scientific bio-medicine. This is not to say that Togolese don’t accept modern biomedical explanations for illness, but rather that bio-medicine doesn’t provide the only explanation. I conducted research at a mission hospital in Togo in an attempt to understand the interface between modern medicine and local understandings of illness and wellness. Current and former patients I interviewed spoke of some illnesses as spiritual illnesses caused by witchcraft. The reference to “spiritual illness” in Togo is commonly a euphemism for illness and calamity caused by malevolent others through witchcraft. Patients explained that illness sourced in witchcraft can’t be cured through biomedical means. I interviewed thirty-six current and former patients at the hospital, as I wanted to determine what they believed was the cause of their illnesses and how they were healed. All, except one, explained that their illness was the result of witchcraft, or at least that someone had told them that witchcraft was the causative agent. Witchcraft is an existential reality for those I interviewed. Their narratives are reflective of the larger communities of which they are members. Witchcraft ideas and the narratives that flow from them serve as an interpretive grid that provides an understanding and interpretation of reality. This is particularly true of unexplained or undesirable events. Witchcraft discourses sometimes serve as a means of deflecting personal guilt and culpability. A twenty-two year old man was involved in a motorcycle accident and was admitted to the hospital unconscious with a broken femur. He stated that he drove around a corner and saw what appeared to be sheep in the road but he could not see clearly. He applied his brakes and swerved hitting and killing a man walking on the side of the road.This is one of several examples among the interviews where what might naturally be understood as involving personal culpability was framed rather as caused by witchcraft. I asked him to explain the cause of his accident and he responded by saying the devil (abosam) had done this to him. He was convinced that demons created an apparition of sheep in the road causing him to lose control of his motorcycle. He mentioned that he was driving with two passengers, one in front and the other behind him. This is illegal in Togo. However, he did not view this moving violation as the primary cause of the accident. This is one of several examples among the interviews where what might naturally be understood as involving personal culpability was framed rather as caused by witchcraft. Anonymous others or demonic forces were accused even when personal responsibility seemed to be an obvious cause. I interviewed another woman who had been a patient at the hospital for surgery three years prior to the interview. I asked her to describe her conversion experience when she was a patient at the hospital. In the course of her narrative she shared her experience at a hospital clinic evangelistic service: “They were praying. When they were praying they said that if you believe in God when you fetch water and drink you will see healing. At that point it pleased me that I believed in God.” Following the interview, I asked the director of nurses and head chaplain if this was communicated to patients. They were both emphatic that this was not part of any message shared with patients. Three months after this interview I recorded the head chaplain’s message at a morning clinic preaching service. The service was closed with the following prayer. Ideas about witchcraft are part of an effort to make sense of the problem of evil.“Jesus, I pray that your name will save every person at this place. All those who may not need medicine they will be told to drink water, and in Christ’s name they will be healed.”  It appears that this is a statement that is made routinely by the chaplains. While the content of the chaplain’s message clearly articulated the gospel, there also appeared to be ideas that accompanied this message that were somewhat magical (or at least which could easily be understood that way), and that influenced the way in which the gospel, illness, and healing were understood by patients. The interviews revealed that difficulties, illnesses, and disappointment were interpreted as persecution because of one’s faith, regardless of the source and even when the problem was self-inflicted. This research reveals that health and illness were immediately framed in terms of spiritual warfare, with witchcraft the primary explanation of affliction. Other explanations were seldom considered. This was also true of the pastors to whom I spoke, and is evident from the counsel that pastors offered to their church members. Often people simply do not have an adequate knowledge base for understanding their own illnesses and afflictions and then misinterpret what they experience in a manner that may also be inconsistent with scripture and God’s work in the world. Ideas about witchcraft are part of an effort to make sense of the problem of evil. If we are to help local Christians think through the issues involved, it is important that we recognize that this is centrally about how we are to make sense of evil. The Christian message as it relates to the evil of affliction and suffering needs to be considered in relation to traditional ideas about witches as the cause of affliction and death. 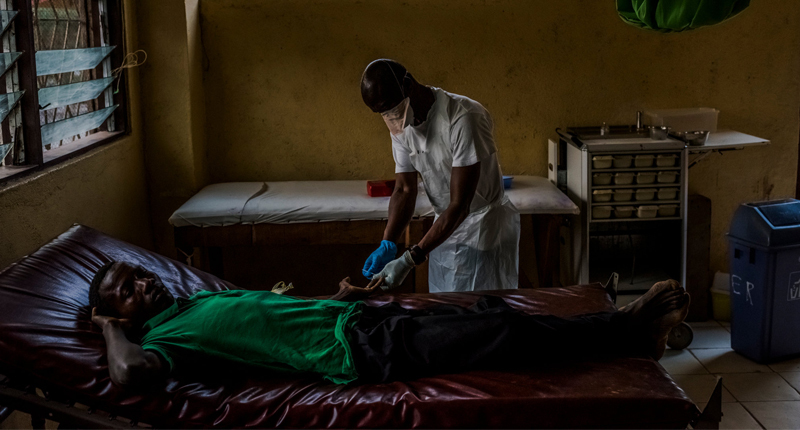 A significant deterrent to treating and controlling the recent Ebola epidemic in Guinea, Sierra Leon, and Liberia was the local belief that Ebola was caused by witchcraft and therefore couldn’t be cured by modern medicine. See “Articulating the Invisible: Ebola Beyond Witchcraft in Sierra Leone” and “Ebola is Not Caused By Witchcraft, Warns Human Rights Group” for more information. This is an example of “therianthropy,” the belief that a witch can transform into a bird or snake to cause harm or death to others. Numerous respondents reported therianthropic encounters as an explanation of unexplained or unusual phenomena. This was interpreted as witchcraft persecution invoked by others because of their personal faith in Christ. 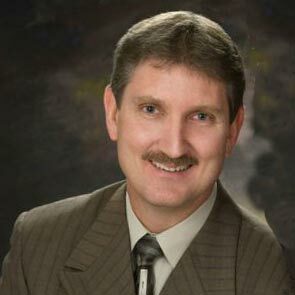 Dr. J. Rupert Morgan serves as the strategic initiatives & research coordinator for the Association of Baptists for World Evangelism, and he also worked as a registered nurse and hospital administrator for ten years at Hôpital Baptiste Biblique in Togo, West Africa.